“I have some very bad news for you”, the voice on the phone said. “Mary Ann Holzer has passed away.” It took me a little while to recognize the name, since I knew her as “Bunny”. The voice on the other end of the phone belonged to a long-time Holzer family friend, Bob Collins, who was acting as the executor of Bunny’s estate. Jerry Holzer, Bunny’s husband, had passed away more than 10 years before. Jerry and Bunny Holzer loved wildlife. Actually, to say that they loved wildlife is an understatement. Jerry was a nationally-known falconer, who raised owls and hawks – even when they lived in an apartment in Chicago! They moved out of Chicago to a large property in Barrington Hills, where their passion for animals could flourish. They chose land next to what would become an Illinois Nature Preserve, a designation for the best ecological land in the State. 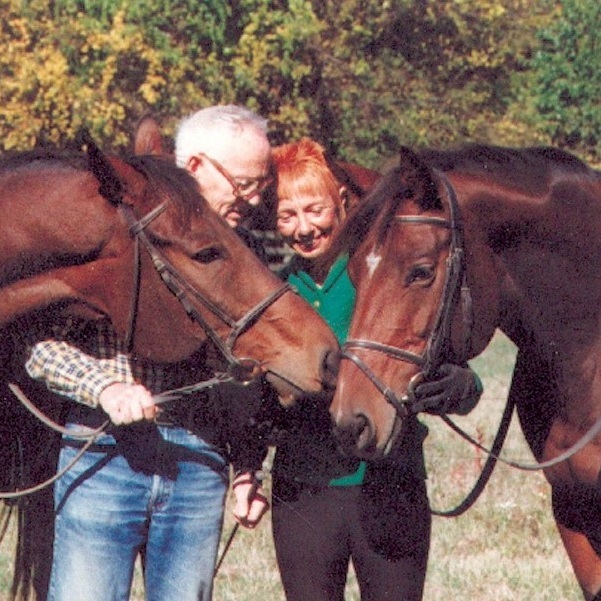 Jerry and Bunny both loved horses and dogs, and the new property offered them enough land to house and feed their new rescue animals which they were able to train and show in competitions. Bunny continued their rescue efforts after Jerry’s passing. While Jerry was still alive, Bunny invited us over to discuss ways in which to preserve their property and make it a sanctuary for wildlife. Though Jerry was no longer up to it, Bunny and I walked their property, then sat down at their kitchen table so we all could discuss various options. We talked for a long while, looking at the pros and cons of each way of preserving the property. They thanked me for the information, and I left, unsure of which option they would choose, but very sure they would choose one of them. In the end, Bunny Holzer chose to give the land to The Conservation Foundation in her will, with very strict provisions on what can and cannot happen on the property. She believed that we would be able to make her vision happen, and also wanted her gift to support our organization. I am proud to say that we have worked out the legal agreements to realize Bunny’s vision and join this land with the Helm Wood Nature Preserve next door. The Forest Preserve District of Kane County will own the land, and we’ll be right there, making sure the new wildlife sanctuary is well taken care of. The Conservation Foundation formally accepted the gift of the Holzer property at a March 8th, 2019 closing, and a few minutes later it was turned over to the Forest Preserve DIstrict of Kane County as a new wildlife sanctuary, in accordance with Bunny's wishes.